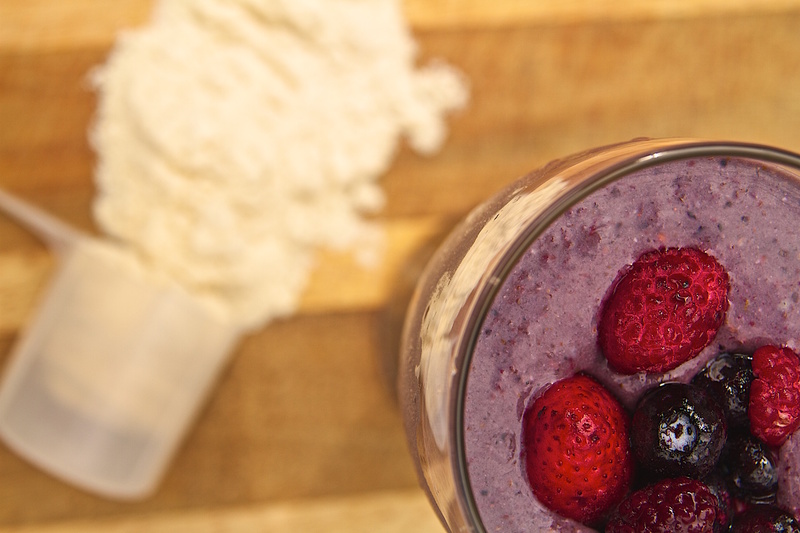 I enjoy experimenting with different healthy ingredients to create new and interesting protein shakes. A 5 lbs container of grass fed whey protein isolate will last me a while so I need to change things up when it comes to my shakes. Protein and water can get boring quickly. Why do I sometimes use spirulina and other Sea Vegetables in my shakes and smoothies? Because of modern chemical farming methods nowadays, regular vegetables tend to be lacking in minerals. Sea vegetables offer the most extensive range of minerals of any food. They are huge source of iodine and vitamin K. It is also rich in antioxidants. Combine all the above ingredients into a blender except for the Udos Oil. Add more almond or rice milk for desired consistency. After you pour your smoothie into a glass, stir in the Udo’s oil. It’s a delicate oil so you don’t want to blend it.